Unfortunately, it’s probably been a fitting start to this new column. The original plan was to write up my thoughts on the Oakland A’s opening two weeks on Easter Sunday. Then Game Two of the A’s series against the Houston Astros happened on Saturday night and I thought I might wait a day for a more positive start. Sunday’s game was then rained-out, the first postponement of an A’s home game for three years. One thing you learn quickly when you jump on board with an MLB team is that in a 162-game season, most individual games don’t count for much. A gut-wrenching loss doesn’t have to hurt too much because chances are you’ll be playing again the next day, then the day after that, and the day after that etc. I’ll be honest, I’ve always struggled a bit with that. I shouldn’t care too much about the A’s throwing away a 5-0 lead in a mid-April game, but I do. In this case, there’s some justification in that it probably does serve as an accurate guide to the A’s in 2017. We have some good parts, yet the bad parts keep surfacing at inopportune moments and revealing the limitations of the team this year. It didn’t help that I’d chosen the game as the first one I would be keeping score of this season. I’ve always enjoyed keeping score of games, irrespective of the fact that every detail you could ever wish for about a game is available at your fingertips online nowadays. Whenever I’m emailed by Brits who have started getting into baseball and want to learn more about the game, I always recommend they learn to keep score. Unlike in the States, most of us Brits don’t get into baseball by playing it as kids. Learning to keep score of games is the perfect way to fill the knowledge gap this creates. Quite simply, you have to pay attention to everything that goes on and therefore you pick up on all the little details that otherwise might pass you by. It also matches up with my love of making things. You either enjoy spending a few hours with a clipboard on your lap, switching between different coloured pens and fastidiously jotting things down on a bit of paper, or the thought of it makes you wonder why anyone would want to do it. I’m in the former camp, as you’ll see more of in future posts with some of the other things I do in following the A’s season. Here’s a scan of my completed scorecard of Saturday’s game, one that tested my commitment to always finishing a started scorecard. It was the type of slow-paced game that apparently keeps MLB Commissioner Rob Manfred up at night, even to the point of the A’s TV announcers (Mark Mulder filling in for Ray Fosse) picking up on the Astros’ infielders struggling to stay focused in between pitches. It was all going so well for Oakland after five innings. Trevor Plouffe and Khris Davis had both hit solo home runs in the bottom of the fifth (having both homered the night before) to make it 5-0 to the A’s and Sean Manaea had pitched five no-hit innings. Then it all went to pot. Three walks to load the bases and a couple of errors (the A’s have taken an early MLB lead in errors with 15 from their first 12 games) sent Manaea out of the game and started an Astros comeback that resulted in them scoring 10 runs across the 6th to 9th innings. The game took just under four hours, finishing at 1am UK time. Not the most fun way to spend Saturday night/Sunday morning, it has to be said, but you have to go through the bad games to enjoy the good ones even more. Khris ‘Krush’ Davis has been the main positive story over the first two weeks. He’s a masher, plain and simple, and when you’ve got a few of those guys in your lineup you always feel you have a chance. The A’s really only have one of those guys, but one’s better than none. It’s wonderful to read how Davis has taken to Oakland since joining the team in the 2015/16 off-season in Jeff Passan’s recent article and that he hopes to be here for years to come. It’s not so nice to read – and know from previous experience – that Davis is unlikely to be on the A’s for much beyond this season. Seeing former A’s favourite Josh Reddick serenaded with Careless Whisper on Friday night on his return to the Coliseum with the Astros put that into perspective. Sometimes it does make sense not to extend a player’s contract and get some players back in a trade before they hit free agency. Jharel Cotton – a poor team’s Pedro Martinez? – has been another bright spot so far and he was part of the package we got back for Reddick and ‘Blistering’ Rich Hill last summer. However the A’s have struggled for years in attracting free agents to Oakland (as Passan’s article notes). When you’ve got a player that’s quite good and wants to be here, why not spend a bit of money keeping him rather than blowing it on mediocre free agents (yes, the Billy Butler deal comes to mind). We’re never going to be able to compete with the big spenders, but you know what, it’s nice to have a few players that are quite good, rather than just a collection of players that possibly might be quite good one day and players that are just okay (Jed Lowrie, Yonder Alonso etc). The A’s were 5-5 heading into the weekend series, which was the start of a 10-game home-stand (now a 9-game home-stand), so the two losses against Houston have put us back into sub .500 territory. Three games against the Texas Rangers, then four against the Seattle Mariners, are what faces us over the next seven days. Three of them are day-games so are convenient to watch in the British evening. Easter weekend breakfast consisted of tea and hot cross buns. That reminded me of the lyrics from Autumn Almanac (“Tea and toasted buttered current buns, are to compensate for lack of sun …”) by the Kinks, which got me thinking of other Kinks songs, including Days. 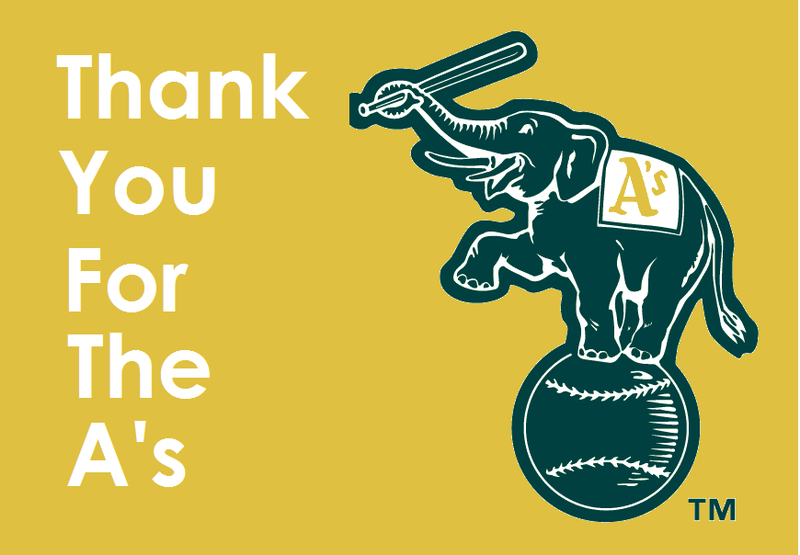 So, Thank you for the A’s (Days) it is. Although based on how I felt after Saturday’s game, it could have been Stop Your Sobbing instead, or Where Have All The Good Times Gone. And as for Dead End Street, well things aren’t quite that bad. Yet. Caught that game on BT, in many ways is was so bad with all the walks and errors that i really enjoyed it, seen a couple of A’s game on BT now and it seems like a good atmosphere there, also enjoyed the atmosphere at the mariners stadium the other night which was another new one for me, only been watching since the last 2 months of last season, just trying to watch as many different teams as possible.Good idea to score a game to learn all the rules, i thought i knew all i needed and then the other day i see a guy just make first and then he’s shown on second- i press rewind -throw missed 1st base into the dugout – base awarded – a new one on me.